Frieda quickly discovers that a mechanic’s wages won’t support Bea and Silver, so she joins a team of rum-runners, speeding into dangerous waters to transport illegal liquor. Frieda becomes swept up in the lucrative, risky work—and swept off her feet by a handsome Ivy Leaguer who’s in it just for fun. 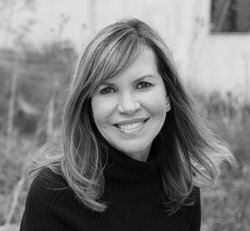 Ann Howard Creel was born in Austin, Texas, and worked as a registered nurse before becoming a full-time writer. She is the author of numerous children’s and young adult books as well as fiction for adults. Her children’s books have won several awards, and her novel The Magic of Ordinary Days was made into a Hallmark Hall of Fame movie for CBS. Creel currently lives and writes in Chicago. For more information about Ann’s work, visit her website, annhowardcreel.com. 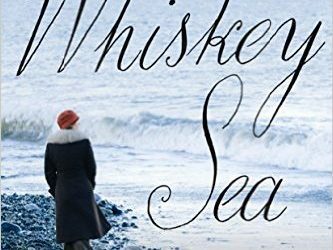 The Whiskey Sea is my first review after a month off. I needed the month, but, it seems, I needed this book as well. Last month I turned 46, and I’ve found that as I’ve grown older, I’ve also grown impatient with novels where the women let other people save them. 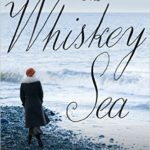 Frieda, in The Whiskey Sea, has help at times, but fundamentally she saved herself, and I really love that about her. In truth, Frieda’s a bit prickly for a lead character. She’s fiercely independent, stubborn, and overly cautious when it comes to trusting people – the latter with good reason as her mother was the town whore – but somehow, I found myself liking her anyway. Her self-reliance and determination practically leap off the page and demand that you take notice, and her flaws only humanize her. Then there’s her little sister, Bea. Frieda spends much of her childhood playing mother to Bea, mostly out of necessity, but the sisters’ bond never really fades and while the younger sister is often overshadowed by the older, her arc is crucial to the plot. If Frieda and Bea are at the center of The Whiskey Sea the men in the story are the satellites in orbit around them. There are two, specifically, that bear mentioning: Silver, the man who decides, basically on a whim, to give the two orphaned sisters a home, is the man who kicks off the tale. Old and set in his ways, he makes a snap decision that changes all their lives. Sam Hicks is the constant in Frieda’s life from the time she graduates from high school, onward. Steady, solid, ever-present, he reminds me of all the fisherman and clammers I used to see in my cousin’s diner early in the morning when I was a kid. All together, this story has everything: a coastal village setting, the historical background of prohibition, and the rum-running that went along with it, and a gritty coming-of-age story that doesn’t assume ‘of age’ means eighteen, but understands that we all come into ourselves at their own pace. For me, though, this novel was special in ways over and above the brilliant writing and compelling story. It was special because the setting – Highlands, New Jersey, is where my own roots are. My family lived ‘over in Atlantic Highlands’ (the two towns are adjacent) and my cousins ran a local diner not far from the harbor. Seeing the historical depiction of a place that is literally in my blood made this book feel magical to me. Author Ann Howard Creel is a deft and masterful storyteller. Her characters feel incredibly real, and this novel is the perfect book to immerse yourself in on a crisp fall evening, or a sultry summer afternoon, or pretty much any other time. Goes well with Manhattan-style clam chowder (that’s the red kind), fried clams, and a cold beer, but not an IPA, because they’re too hoppy. 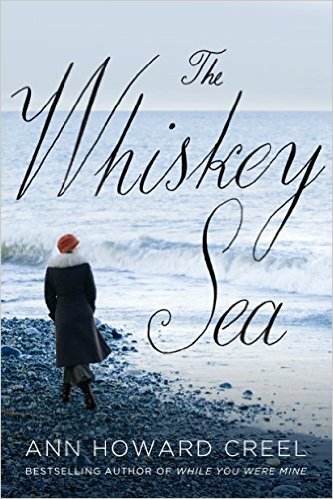 One lucky reader in the U.S. or Canada will get a copy of The Whiskey Sea mailed to them by the publicist. How? you ask. I’ll tell you. There are three ways to enter (one entry per person for each choice, so if you do all three, you’re entered three times). Leave a relevant comment on this post. Winner will be chosen from those entries received by 23:59 CDT on 21 September 2016.